With PWB Anchor’s uncompromising commitment to product development, support and quality we offer PWB Anchor Grade 80 range for your lifting solutions. Keble’s Trading has an array of Herc-Alloy Grade 80 links from Gr8 Master Link Multi - DNV to HA8 Hammerlok in the range of size from 6.0/7.1mm to 32.0mm to and WLL capacity from 1.1mm to 54.5mm. In stock also is the Gr8 Clevis Locking Shortening Clutch that is in 6.0mm to 20mm with WLL capacity of 1.1 to 12.5 which has an enhanced security due to the locking mechanism that can be closed single-handedly to prevent the chain from disengaging. 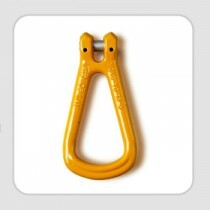 Keble’s Trading offers a vast range of Grade 80 hooks from Gr8 twist eye choke hook to eye safety sling hook in the range of size from 6mm to 32mm with WLL capacity from 1.1 to 32.8. 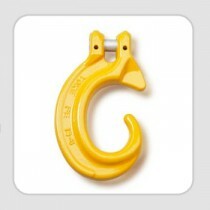 Our selection of Gr8 coupling links from Gr8 coupling master link to Gr8 half coupling link assembly in range of size from 7.1/8.0mm to 20mm with WLL capacity from 2.0 to 12.5 can competently address your lifting requirement. As chains are essential component of a lifting project, only authorized PWB Anchor distributor like Keble’s Trading can supply genuine Herc-Alloy 800TM chain. 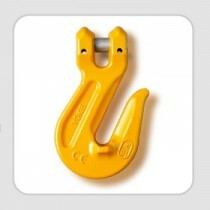 We have an extensive scope of chains from Herc-Alloy 800TM Pail Paks to Herc-Alloy 800 Yellow with sizes from 6mm to 32mm that are tested certified. Herc-Alloy 800TM Chain is manufactured to the most exacting quality control standards and conforms to the mechanical properties of grade 80 (T) chain. 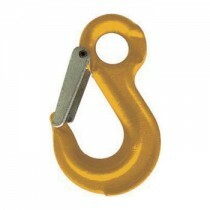 We also have an extensive lineup of Grade 80 chain slings from two leg adjustable chain slings - clevis self-lock hook to single leg adjustable chain slings - clevis safety latch hook in the range of size from 1mm to 13mm. 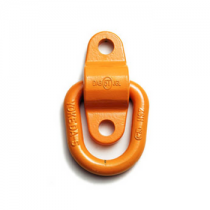 Herc-Alloy 800TM Chain is also available in easy-to-handle pail paks for easier storage or store display in sizes 6mm to 13mm with a WLL capacity of 1.1 to 5.3 to provide you confidence in your next lifting application. 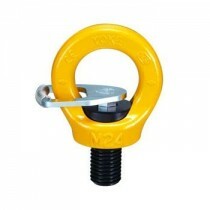 To complete our PWB Anchor Grade 80 Range, we have a collection of Grade 80 lifting points from weld on lifting point with a stamped WLL capacity marking of 1 to 15, and swivel lifting point to elongated swivel lifting point from sizes M8 to M30 with WLL capacity of 0.30 to 4.0. They are rated at 100% at 90 degree angle with 100% Magnaflux crack detection. All our PWB Anchor Grade 80 products are test certified and are manufactured complying with the strict Australian standard AS 3776. 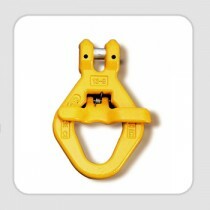 Turn to Keble’s Trading for valuable-grade PWB ANCHOR GRADE 80 RANGE. Talk to us! We speak your language! We understand your business. Call us at 1-800-067-687 or fill out the contact us form below. No inquiry is too large or too small. We would love to be of service to you today!